Are they worth having? 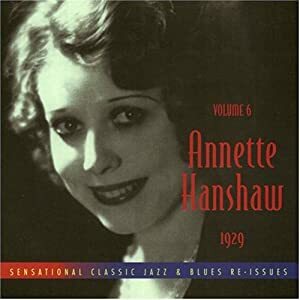 Well, the tracks are all very short, mostly about 2 minutes; and they are definitely the no-longer-big-band Helen (see previous post). Smooth, accomplished, but ultimately (for me) rather lifeless. 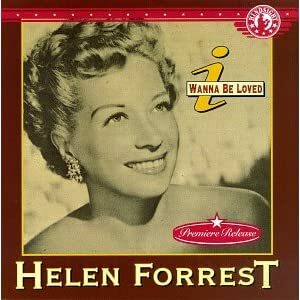 It's a valiant attempt from an ageing Helen, and she clearly hadn't forgotten how to swing in 1983, but her voice shows obvious signs of strain - she has to glide into all the big notes, and I find listening to more than a couple of songs can become uncomfortable. 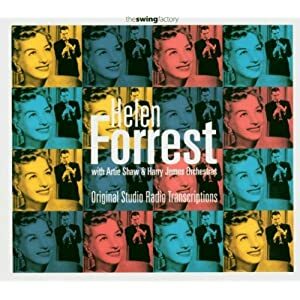 This should probably be on a separate thread, but I was wondering if anyone has developed an appreciation for female jazz vocalists since the 1960's? Are there any current artists you would recommend? May I suggest (as you yourself suggested) a new thread for that? I could of course re-title the thread more broadly, as 'female jazz vocalists', but I wanted to create something more focused than that. 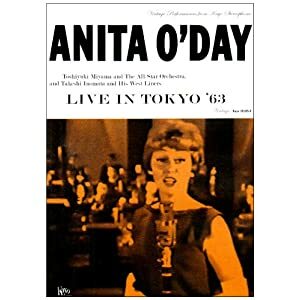 The Tokyo show from 1963 isn't great quality. The picture is a bit fuzzy, and the sound not of the best - acceptable, certainly, but not hifi. But the performances, oh my goodness. Two minutes in, and I simply stop noticing the technical limitations. There's a marvellous performance of 'Bewitched, bothered & bewildered' that I posted earlier (#20) - that youtube video will also give you an impression of the visual quality. 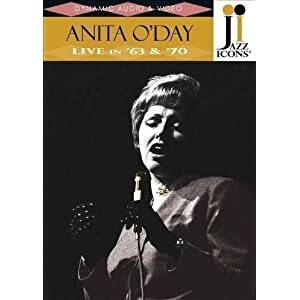 The other DVD in the Jazz icons series is far superior in quality, both visually and in sound, and we get to see two shows: one from Sweden in 1963, and the other with a 7-year older older Anita, from a Norwegian show of 1970. The performances include the exquisite version of 'Nightingale sang ...' posted in #20. Both DVDs make for compelling viewing as well as listening. When she sings, she sings with all of her, not just her voice: hands, body, face - everything is employed to fascinating effect. Also there are some fine examples of how she 'conducts' the other musicians, with a wave of the microphone, with a hand gesture, with a look. There's a story about how one musician complained that he didn't need her to tell him how to play. 'I'm not telling you how to play,' said Anita, 'I'm telling you when to play.' 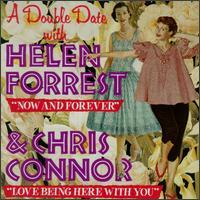 Watching her relationship with the musicians is no less fascinating than watching her sing. Who was the female vocalist who sang "I Left My Sugar In Salt Lake City" in JAM SESSION, 1944, Jan Garber's orchestra? First round of looking online didn't reveal anything. I couldn't catch the name, it was something like Helen Inglis or Helen English. Thanks. Take out 'female,' 'jazz' and all the decades from the subject line and my answer would be unchanged (well, assuming just 'vocalists' implies favourites). where she is third on the list. For all her powerful delivery she has a tinge of pathos in her styling that can trap the unwary and you can find yourself besotted! !